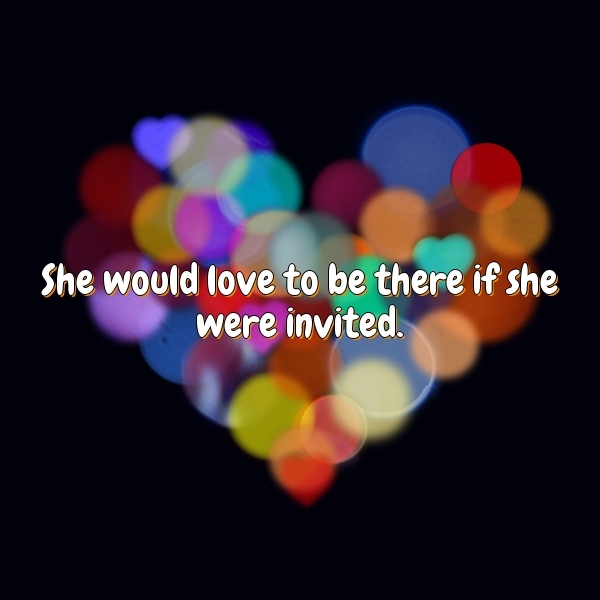 She would love to be there if she were invited. No man is happy without a delusion of some kind. Delusions are as necessary to our happiness as realities..